Authentic Double Wheel Roulette - Two Auto Live Wheels pay 36:1. 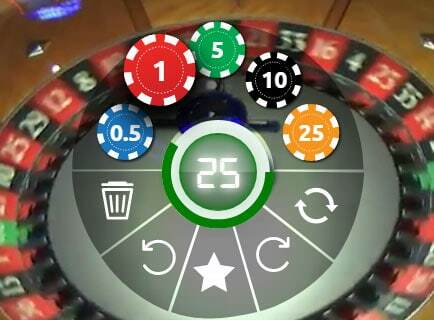 Authentic Double Wheel Roulette is an exclusive version of Auto Roulette, that uses two wheels and pays 36:1 on single number wins. It’s streamed live from the casino floor at the Saint Vincent Resort in Italy where you’re playing alongside other patrons in the casino. The game is American Roulette, so has a Zero and Double Zero on each of the wheels. It’s available 24×7 and if you’re counting you’ll see 2000 spins a day. Authentic has two other versions of Auto Roulette, Auto Roulette 30 and Auto Roulette 60. Both are very good and have all the betting options you could possibly want. They’re a really good alternative if Double Wheel Roulette doesn’t float your boat. The playing interface is quite straightforward. To be honest the options you have are enough, as the screen would become cluttered and you’d struggle as I did to place all your bets during the allowed betting time. You’ll see in the video that I had to do it in stages. Delete the last placed bet. Save the bets you’ve placed as a favourite bet (up to 5). Repeat the last bets you’ve placed. Select Auto bet, to repeat the same bets for a selected number of spin. The left wheel has a betting time of 54 seconds, whilst the right wheel has 30 seconds. You’d almost expect the right wheel to be a quicker game, but it’s actually the left wheel, which comes in with a bet to bet time of 1 minute 18 seconds. 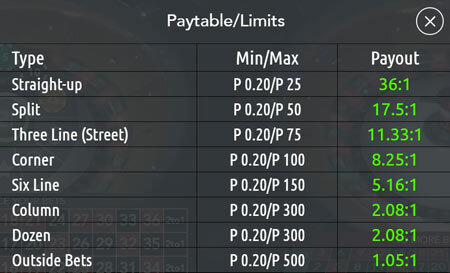 What makes Authentic Double wheel roulette unique is the payout structure, which also has an effect on the RTP’s. The theoretical return to player for this game is 97.37%. Three Line (Street) – 97.34%. Column / Dozen – 97.26%. If you enjoy a faced paced roulette game that you can set up and just zone out and watch spin after spin, this is for you. If you plan on playing both wheels I’d advise setting up the first wheel with your bets and saving them as a favourite before trying anything with the second wheel. Whilst 80 seconds sounds a lot, if you have a complex betting pattern you will struggle to set it up on both wheels within one betting cycle. Once you’re over that initial hurdle the game plays well. Every other spin is alternated between clockwise and anti clockwise and from the timings I performed the spin speed is constant rather than variable. It would be really great if you were able to setup your bets before placing them on the table as a real bet. Maybe that’s something that Authentic can look into. I’ll mention it next time I meet them. If you fancy trying out Authentic Double Wheel Roulette you can find it at these great casinos.